I admit it: I’m a sucker for pet furniture and beds and toys. And, because I watch “My Cat From Hell” on Animal Planet, I understand the importance of giving cats their own space — especially perches off the ground. 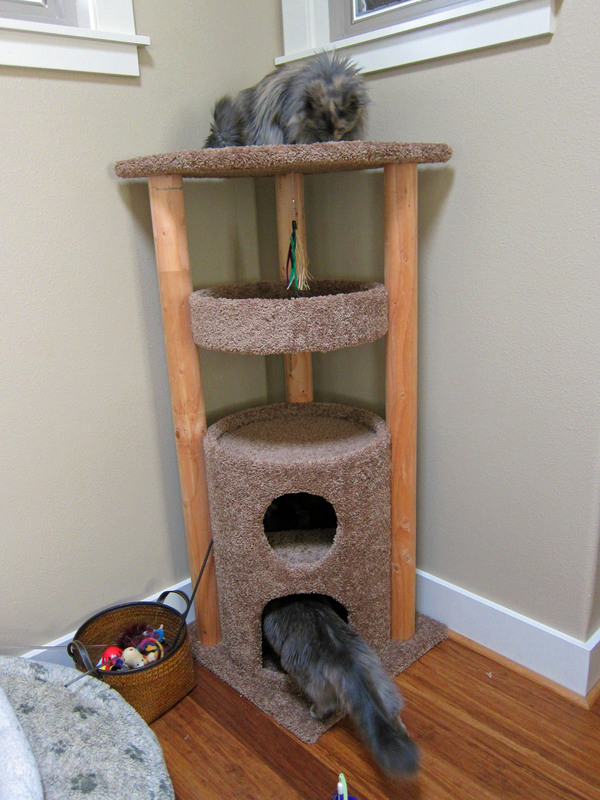 So, recently when I found a new cat tree that would fit perfectly in the corner of my bedroom, I decided I should get it (although it made rearranging furniture quite the little chore). Little did I know that it would become such a happy adventure in such a short time. 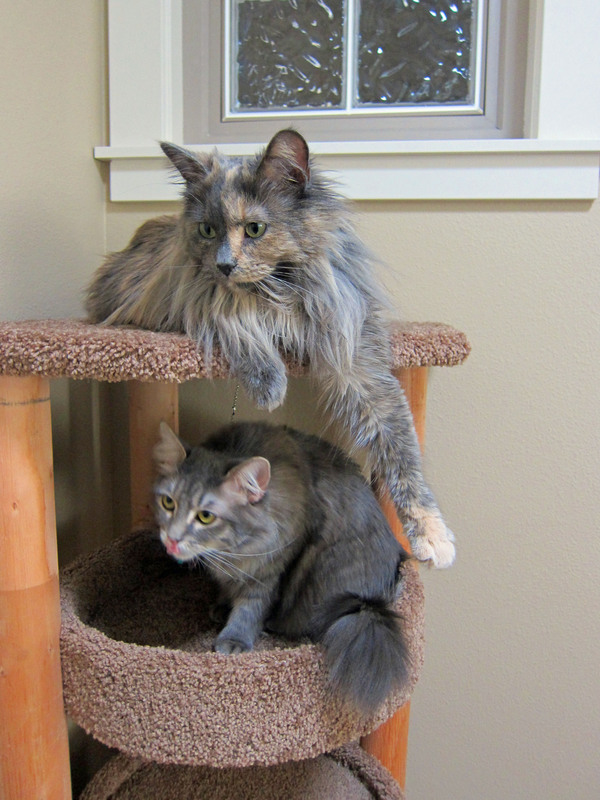 Lilly and Zoey have been particularly smitten by the new space. 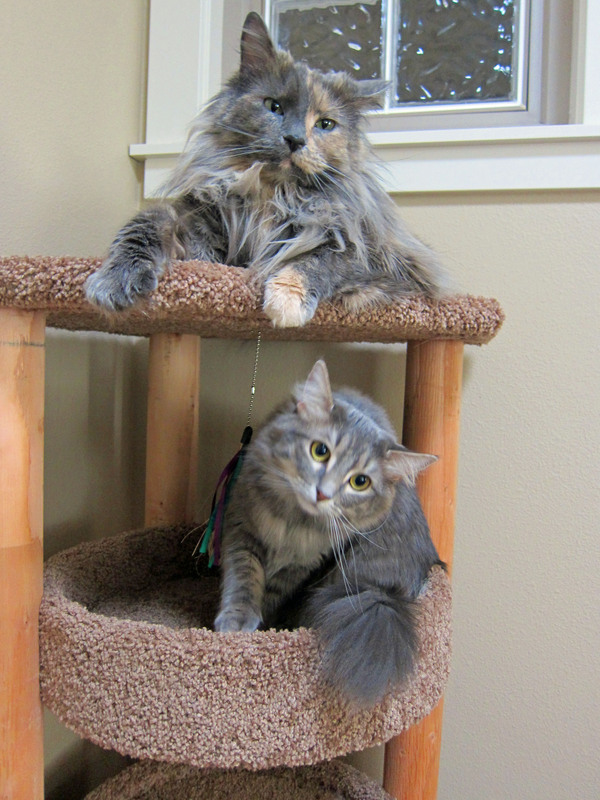 Great cat tree! Where did you get it from? It’s perfect-not too small and not too big and has lovely wood accents! It came from my local PetCo. 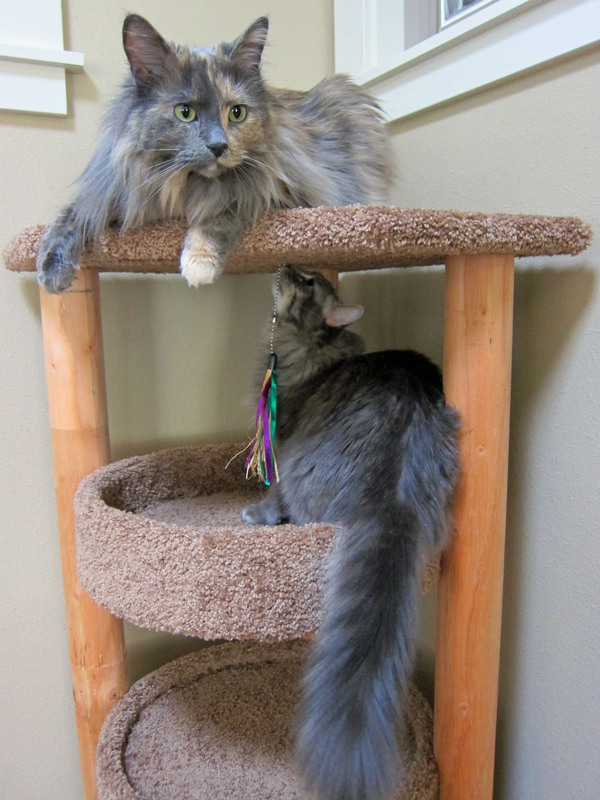 Generally, around Christmas time, they have nicer cat trees with the wood accents. At least, they have the last two years. Thanks! 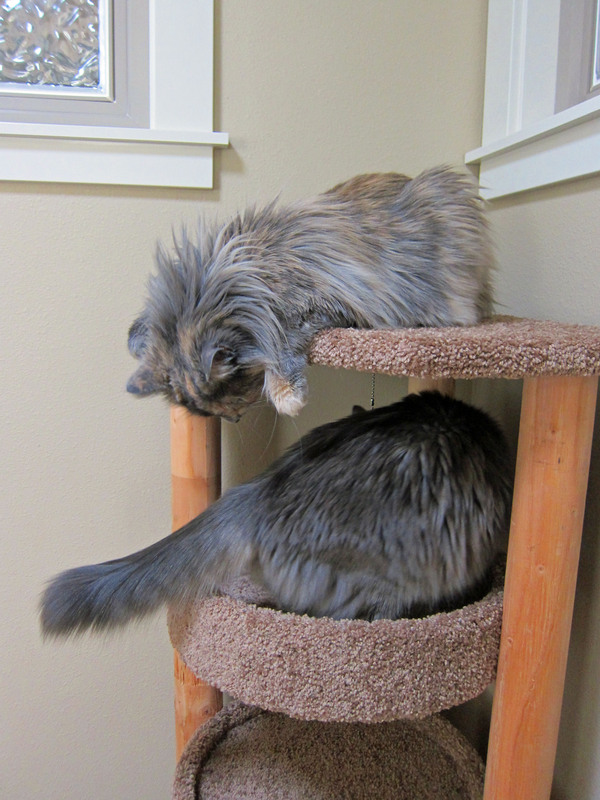 All four of them have checked it out, but Lilly and Zoey have spent the most time on it. It’s always good to see how much they enjoy things like this. We have a blue tortoiseshell shorthair. It’s my favorite kitty color besides black. Yeah? 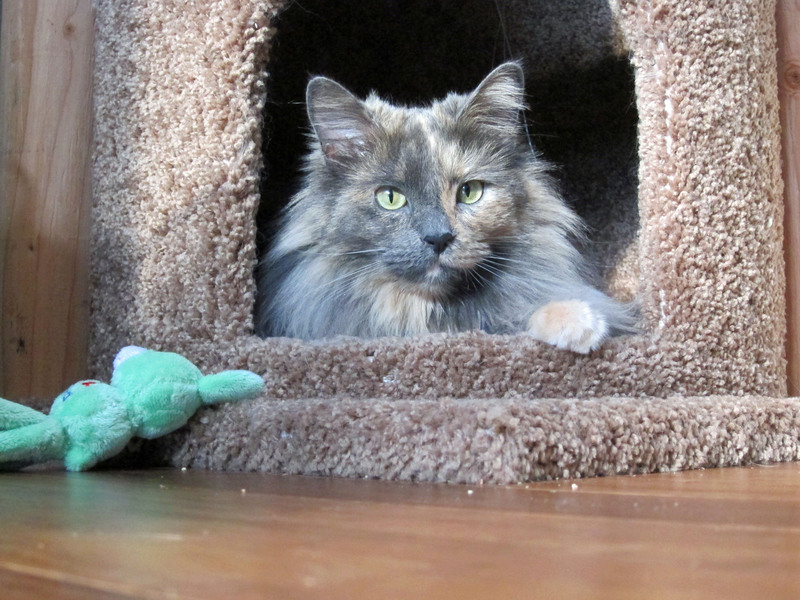 I love my tortoiseshell. She has a tremendous personality that is curious and determined and stand-offish, but loving. « Sleep Like a Cat?